1. Wealthy donors and large corporations have poured $2.73 million into Governor Jerry Brown’s two charter schools in Oakland during the first three months of this year, the Bay Area News Group$ reports. The big donations are part of a trend over the past decade in which Brown has solicited millions of dollars a year for the Oakland Military Institute and the Oakland School for the Arts. The large contributions also raise questions about the access awarded to the donors in exchange for their money. 2. 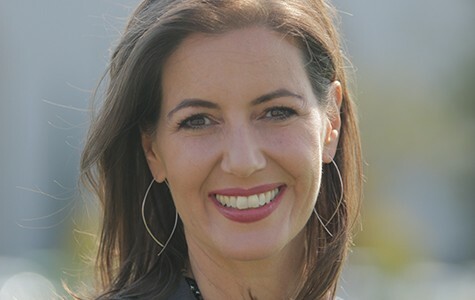 Some Oakland business leaders criticized Mayor Libby Schaaf and Police Chief Sean Whent for not cracking down harder on protesters who vandalized businesses and smashed cars on Broadway on Friday night after a day of mostly peaceful anti-police violence demonstrations. But civil rights attorneys said that there wasn’t much else the mayor could do, because there were so many peaceful protesters demonstrating that night as well. 3. State revenues were $1.6 billion higher in April than projected by the Brown administration, and are now $2.9 billion above what the governor had expected, the SacBee$ reports, citing new data from the state controller’s office. Fiscal experts expect that tax revenues will continue to outpace projections this year by perhaps billions of dollars. 4. Charities must disclose the names of their largest donors to the state Attorney’s General’s Office, a federal appeals court has ruled, according to the LA Times$. The state AG, however, has vowed to keep the donors’ identities secret from the public. 5. And global warming could lead to the extinction of up to 16 percent of the world’s species, the LA Times$ reports, citing a new study published in Science.